Springform pan Set includes 4 inches, 7 inches, 9 inches, and 50 PCS parchment paper liners. No additional butter or grease means less fat. 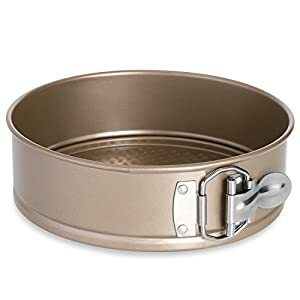 High quality materials cake pan, made of a strong, durable, substantial material, BPA free, nontoxic nonstick coating. 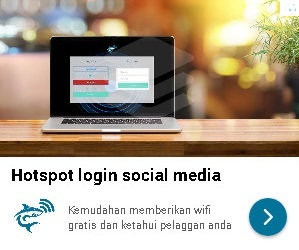 Microwave oven safe. Heat-resistance temperature: 445℉ (230℃); Our pans can work perfectly in a pressure cooker of 6Qt or 8Qt. 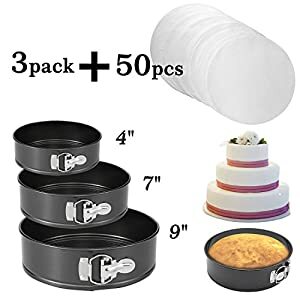 Nonstick coating for effortless release.Spring latch offering a tight leak-proof seal makes baking mess-free with an easy cleanup.Your cakes will always come out perfectly. 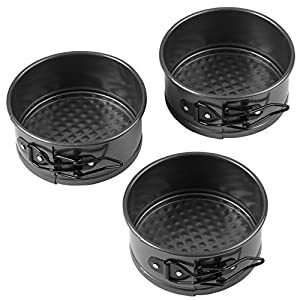 INDIVIDUAL SERVING SIZE: An essential addition to any baker’s kitchen, this set of 3, 4-inch diameter springform pans are just right for a personal sized serving of delicious cheesecake, quiche and more. BUILT TO LAST: Durable steel construction ensures these pans cook your delicacies perfectly – use after use, year after year. 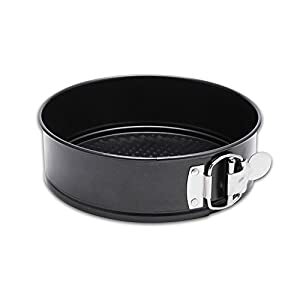 NON-STICK, coating: The non-stick surface provides a quick and clean release of your delicious baked goods and so they look as good as they taste.